Continue reading "What to Pack for Spring Break"
Continue reading "Is Sunscreen Safe for Babies?" Continue reading "Three Tips for a Wonderful Labor Day"
Continue reading "Five Ways to Heal a Sunburn"
Continue reading "How Does Sunscreen Work?" Continue reading "Common Skincare Ingredients that Cause Sun Sensitivity"
Is Oxybenzone Toxic to Coral Reefs? Continue reading "Is Oxybenzone Toxic to Coral Reefs?" Continue reading "Do You Know Your ABC’s?" Continue reading "Common Sunscreen Application Mistakes Part 2"
Is Your Favorite Sunscreen Reef-Friendly? Continue reading "Common Sunscreen Application Mistakes Part 1"
Continue reading "What to Pack on Your Tropical Vacation"
Try these fun tips the next time you head down to the beach for some sun and surf! 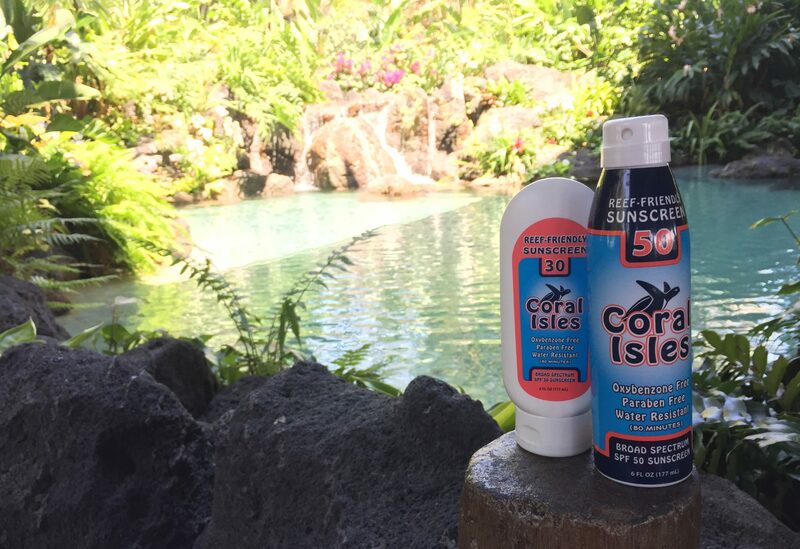 Don’t forget to pack your reef-friendly sunscreen from Coral Isles!